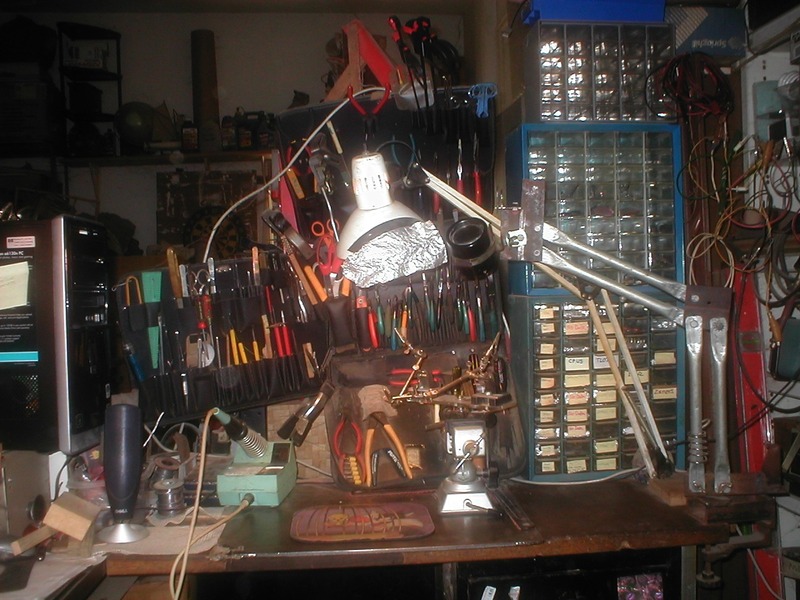 Whenever I release a hackaday video, I invariably get comments and emails about my workbench. Some people are telling me to clean up, others are asking me about things they see in the background. This isn’t just a set that I film on. Obviously my videos aren’t high enough quality for people to assume that either. 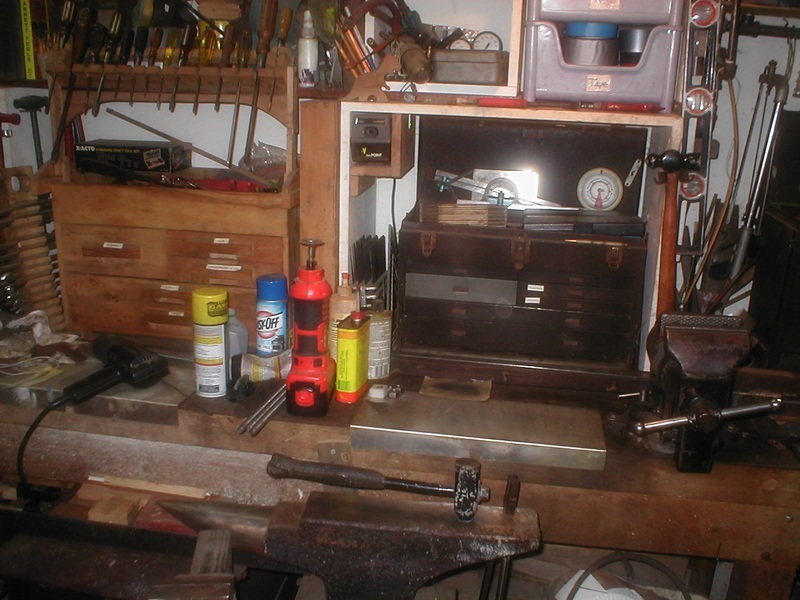 This is my actual workbench, made and used by my grandfather. I do enjoy keeping it decorated though. I try to keep a piece of as many past projects as possible hanging on my bench to serve not only as inspiration to me, but also as an interesting backdrop for the videos. I make no attempts to hide my upcoming projects when I shoot videos. If you pay close enough attention, you can sometimes see projects appear on my bench in videos before the actual project video hits youtube. 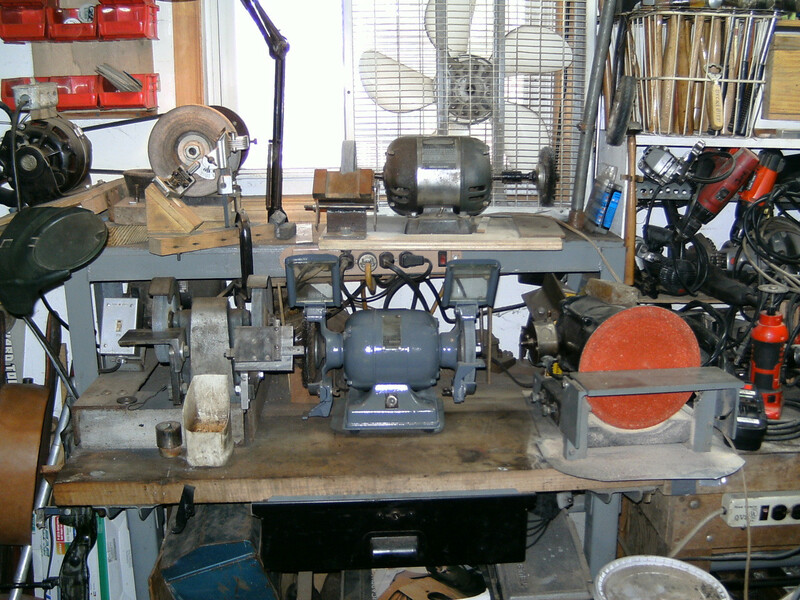 I love my workbench. You should love yours too. Hey, maybe you could do a tour of it and post it on youtube for us to admire! Just try not to say “workbench” as many times in a row as I did. I like the version of the “Jolly Wrencher” on your sweatshirt better than the HaD logo. That is one that I designed to replace the logo. Ultimately I decided that the old one should stay, but yeah, I do like the one on that shirt more. She has a hankerchief for her head in most videos. The rift pulled it off though. This is missouri. We use clearing bats here. I thought it was going to be something like we used on jobs. We’d grab an H beam in the grabber bucket of a loader and plow demolition jobs up with it. Between those I can usually find the appropriate space to do something in. Great space! I have a few other work areas too, but they aren’t this organized… places like “my driveway”, and “that alley where no one will question the guy with the redbull cannon”. Ah cmon. Tell me that’s at the job and not home. I’m gonna go cry in a beer, I made, on my brewbench, aka kitchen table. 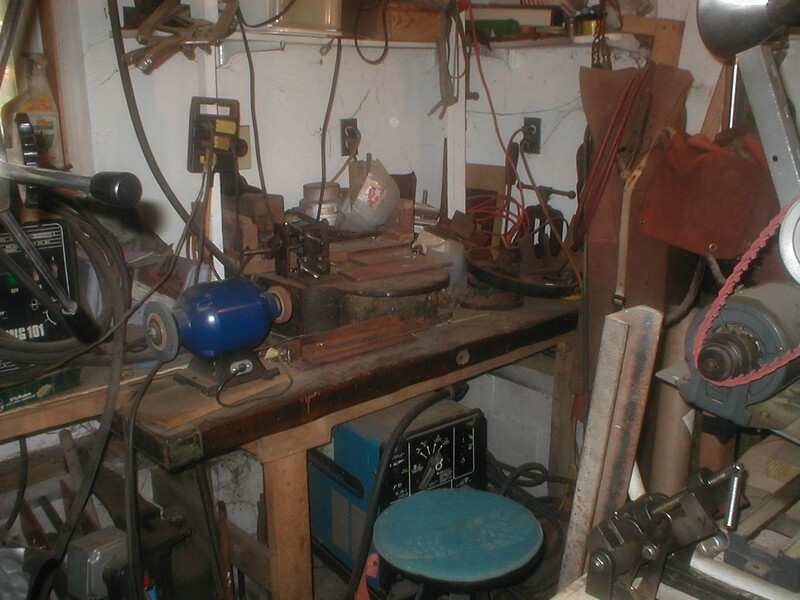 Notice the flask with the thermo-sticker on the right end of my bench? It is prepping for a yeast starter for a kickass IPA. It is my home lab. For whatever reason… I thought “filing” was gonna to do something with organizing documents! 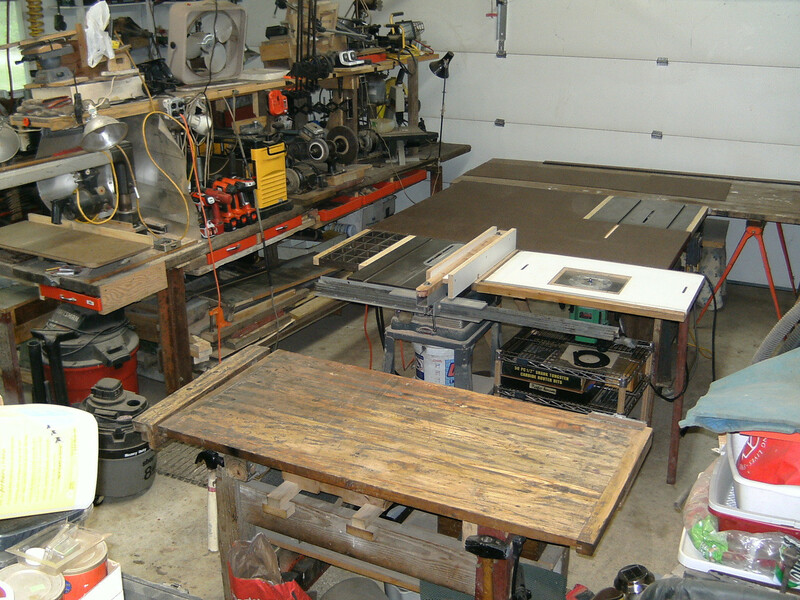 Is that a patternmakers vise I saw on a shelf? Oh yeah! Love the home made magnifier arm! Initially I tried to put the springs in like those arms always have, but that did not work out so well for me and I just use wing nuts now to tighten the arm when I have it positioned how I like it, if I even need to. It usually holds its position well. Other than that it was a very straightforward, and easy project to make. I made it out of bits of scrap metal I’d left out in my yard, and subsequently dug back up. They’re all cut offs from other projects. I love using that metal on silly stuff. Caleb, I think it’s really cool that you are honoring your grandfather by using his bench. Even if he has moved beyond this life, I bet he’d be proud of you. he would have enjoyed this web site immensely I think. There have been hackers through the ages, but unfortunately they didn’t have sites like this. The CNC router is not looking like it is getting used a lot, well not for a lot of routing at any rate. What is that mysterious black box on the right? Looks like a fun space to me. hehe yeah the cnc ends up being a sawhorse more often then not, lol i need some aluminum extrusion so i can rebuild the gantry . I noticed the black theme, very goth. I thought it was a laser cutter. I still have not finished my CNC machine yet. Well, I should say the prototype model of it. Once I have I will need to rebuild all of it too, if it works. That music on the end.. it was loud. It’s a bit weird to keep that portal gun there, since it misses its decorative target that way looking out of place. 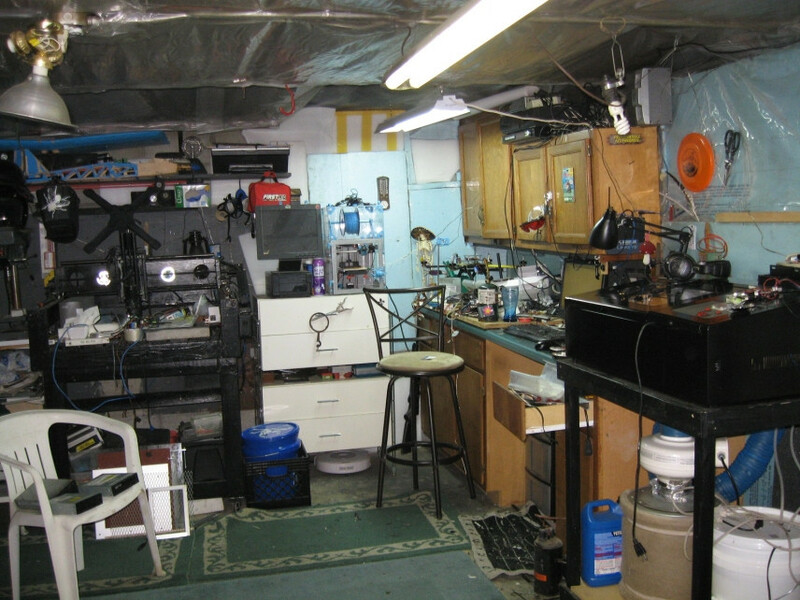 And the oculus rift needs to be near a computer/entertainment spot rather than a workbench you would think.